If you travel outside of Ottawa, you will soon find a number of world-class attractions, including parklands, country estates, nature preserves, hiking trails and recreational activities. One of Canada's premier attractions, the Canadian Museum of Civilization stands next to the Ottawa boundary in nearby Hull and incorporates a number of further attractions, which include the Canadian Children's Museum. 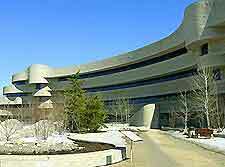 Just a couple of miles from Ottawa, the Canadian Museum of Civilization lies in nearby Hull. Famous for being the biggest cultural institution in the whole of Canada, this museum is understandably popular and is home to an enormous array of attractions. Highlights at the Canadian Museum of Civilization includes exhibits about archeology, arts and crafts, cultures, military history, aboriginal civilizations in Canada, and even an unusual collection of totem poles. The museum also features an IMAX theater, the Canadian Postal Museum and the Canadian Children's Museum. Covering a vast area of more than 200 acres / 80 hectares, Mackenzie King Estate was founded in the late 19th century by past Prime Minister of Canada, William Lyon Mackenzie King. 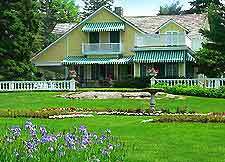 Home to the Moorside Cottage, the estate is just a short drive from Ottawa and a popular excursion. Attractions here include a small museum, a tearoom, many scenic walking trails, mature landscaped gardens, and a number of unusual remains and ruins. Guided tours of the William Lyon Mackenzie King Estate are available and should be booked prior to arrival. 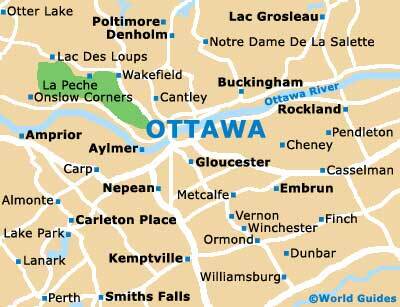 Brébeuf Park lies on the city's outskirts, alongside the scenic Ottawa River, in nearby Hull. An area with an extremely important past, Brébeuf Park was used as an access point to the river by early explorers of Canada. The park offers a range of secluded seating areas, walking trails and a range of recreational activities. 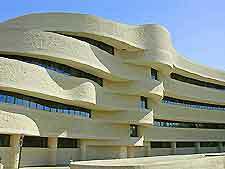 Part of the nearby Canadian Museum of Civilization, the Canadian Children's Museum is within easy reach of Ottawa. Home to many fun and extremely interactive exhibits from all over the world, the museum appeals to all ages. The Canadian Children's Museum houses over 10,000 artifacts, including old toys, teddy bears, books, puppets, marbles and dolls.